Researchers at Lake Tahoe have discovered a number of gigantic goldfish breeding in Lake Tahoe and they’re worried it could ruin the lake’s crystal-clear water, reports NBC’s KCRA-3 in Sacramento. 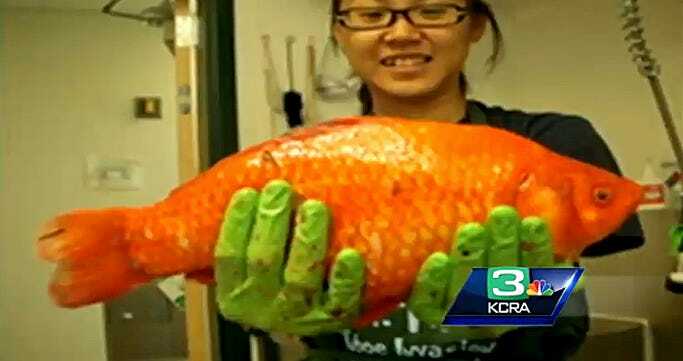 “You just see this bright gold and orange thing start to float up, and you think, ‘What is that?’ And you take a net and scoop it up and it’s like, ‘That’s a goldfish,'” researcher Christine Naig told the TV station. 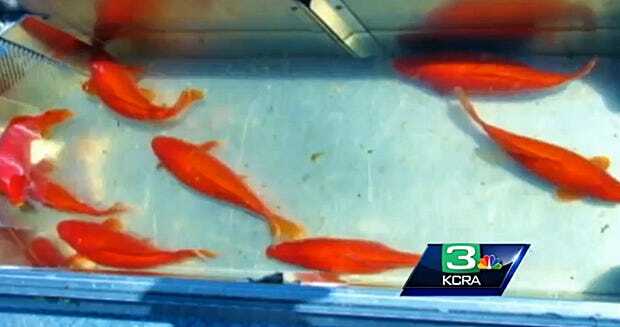 Scientists think that the goldfish got there form “aquarium dumping” — where people dump their pet fish in lakes and streams.